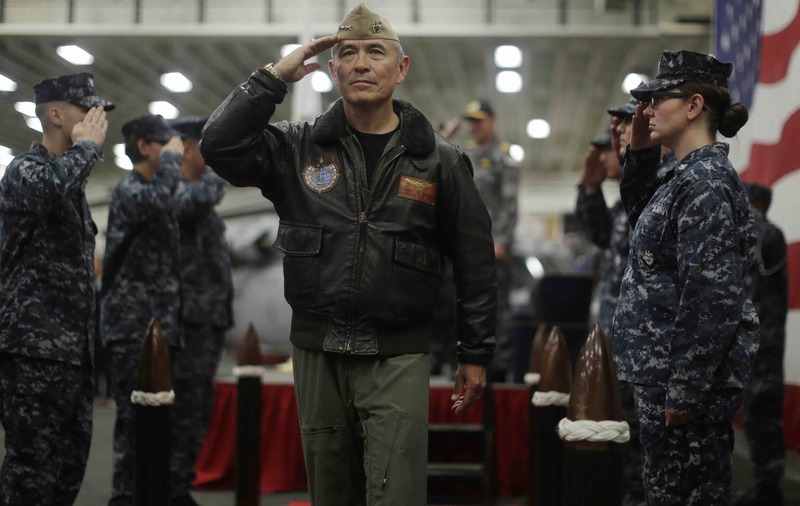 The news that US President Donald Trump has reassigned Admiral Harry Harris to Seoul from his expected posting to Canberra has brought forth a somewhat predictable bout of hair-pulling and hand-wringing from alliance sentimentalists. Rather than see this decision by the administration on its own terms – as a move to allow the US to put its best diplomatic foot forward at a time of intense geopolitical tension on the Korean Peninsula, and on the cusp of a potentially historic meeting between the President and North Korea’s Kim Jong-un – we have instead heard a lament about Australia being treated “shabbily” by the Trump White House. Thankfully, Foreign Minister Julie Bishop has remained calm and not indulged in this kind of tantrum throwing. It is of course understandable that the Harris switch would generate feelings in Canberra of being let down. Some of the hurt is perhaps allowable, especially after such a long – but certainly not unprecedented – vacancy in the US ambassadorship here. And after all, Harris would have been only the second, serious heavy-hitting diplomatic appointment to Australia since Marshall Green arrived in 1973 at the height of the crisis between Richard Nixon and Gough Whitlam. Harris’s nomination was seen as a verifiable sign of Australia’s esteemed place in the American pantheon; that despite testy phone calls and talk of transactional alliances, Australia still mattered. Whitlam had crowed in 1973 that “We got Marshall Green!”, and the same kind of excitement was generated by Harris’s nomination. It was seen as a badge of honour. But Australia might have also dodged a good deal of discomfort with Harris’s flight being diverted to Seoul. There were suggestions, remember, that Barack Obama had to gag Harris at one point from discussing in public China’s activities in the South China Sea. And we cannot be entirely sure that Harris, when here, would not have overstepped the boundaries of diplomatic decorum and said what he really thought about China, or about Australia’s relations with China. After all, there was much speculation that he was being sent here to stiffen the Aussie spine on issues such as freedom of navigation operations in the South China Sea, to arrest what some players in Washington see as Australia’s steady drift into the Chinese orbit. Alliance sentimentalists cannot have it both ways. They cannot sing anthems about a relationship that is “stronger than it has ever been”, that is so “deeply integrated” and so “robust”, and then simultaneously place the entire health of the alliance in the hands of one diplomatic appointment. In truth, the deepening of US–Australian ties which has occurred over the last three decades has come at a time when the US has dispatched to Australia a suite of close presidential friends or generous campaign donors. Is there, then, any evidence to suggest that having a Charge D’Affaires continue in the position, or, eventually, another lower-level American ambassador here, will do grievous bodily harm to the alliance? The proposition is doubtful. When Marshall Green left Canberra in 1975 there was, as there is now, a delay in getting his replacement onto terra Australis. When eventually president Gerald Ford announced that James Hargrove, a Texas business consultant and former US assistant postmaster general, would take up the position, howls of outrage bellowed from Australian broadsheets. One newspaper called him “the unknown American”, and the flavour of much reporting suggested that Australia was once more receiving the runt of the American ambassadorial litter. It is to be hoped that Trump’s replacement nominee for Australia does not suffer the same indignity of this kind of juvenile jumping up and down. It's been a big year for Russia. There is a sense that the Syrian war is effectively over bar the fighting.